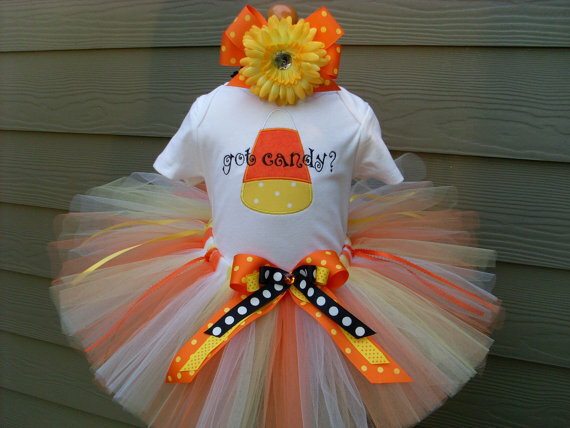 This Candy Corn Halloween tutu set is delicious ! The beautiful HALLOWEEN tutu is made with soft tulle. A triple bow with a rhinestone, is attached to the front . 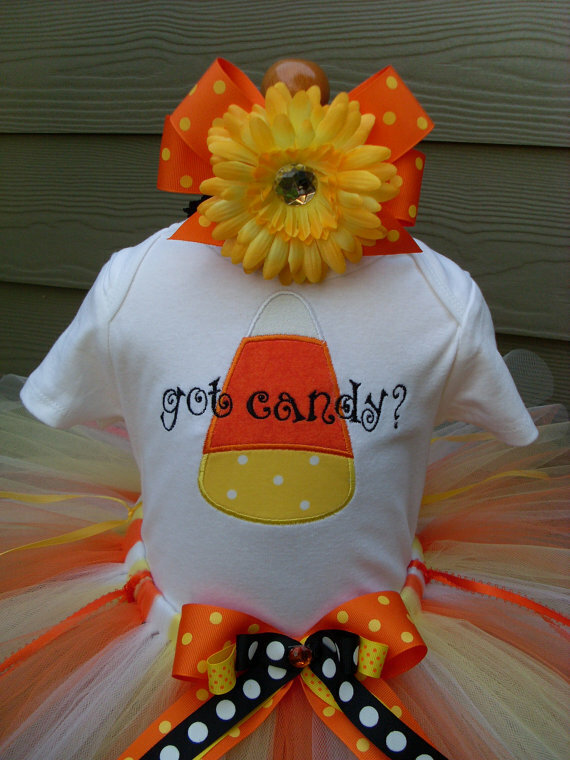 The white shirt or onesie, comes with, a CANDY CORN design, that has been machine embroidered and appliqued directly onto the shirt. It is NOT an IRON-ON! GOT CANDY?, gives this set that special FLAIR. A matching bow is included. Legwarmers, and Bloomers are sold separately!